“Vote Anti-Abortion” will be the message from Created Equal to citizens as a voter-education campaign comes to Tampa on November 3, 2016 and St. Petersburg on November 5. This initiative travels across the swing states of Pennsylvania, Ohio and Florida in the days before the 2016 Presidential election. The “Vote Anti-Abortion” Florida campaign includes Jacksonville, Orlando, Tampa, St. Petersburg and Miami. Created Equal’s “battleground tour” encourages voters to cast their ballot against abortion. The national pro-life advocacy group is using images of abortion victims on airplane tow banners, billboard trucks and jumbo-tron television screens. Mark Harrington, National Director of Created Equal, is reaching out to voters, urging them to vote against the killing of pre-born children. This initiative follows a successful bid targeting delegates and party leadership during the Republican National Convention in Cleveland to keep pro-life planks in the Republican Party Platform. Created Equal also confronted the attendees at the Democratic National Convention in Philadelphia about their party’s support of barbaric abortion practices. Harrington and Created Equal believe that their convention success paves the way for a fruitful effort in this outreach. Stay the f**k out of my uterus! As a pro-lifers, let me try to clarify: we don’t care about your uterus anymore than we care about your liver or spleen. 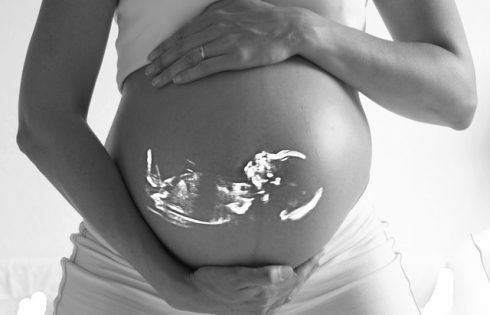 What we do care about is the human being living and growing inside of your uterus. Maybe you don’t think it’s alive or a human, but we do. Since it’s a human, it’s worth fighting for. That human has unique DNA from your uterus. His or her’s body is making it’s own cells, growing independent of your body other than the environment you are holding it in. We believe it is special and can bring joy to the world. Please stop trying to make into something which we are not – monsters. Just as we would have fought for your inside your mother’s womb, we’d fight for those inside of yours.